Teeth whitening trays from a dentist are vastly superior to any supposed teeth whitening solutions available at the local store. Your dentist will take the time necessary to build a fully customized teeth whitening tray for your unique mouth. It is quite the contrast to the one-size-fits-all products available over-the-counter. The dentist will conduct a comprehensive dental exam prior to creating your customized teeth whitening tray. The purpose of this exam is to identify the root cause of the teeth staining/discoloration. If the dentist finds tetracycline stains or if you have veneers or crowns in your mouth, a peroxide-based teeth whitener will not beautify your teeth. Even the use of certain medications and the consumption of specific foods can impact the results. It is also possible some teeth might be discolored as a result of decay or defective fillings, mandating repair prior to the creation of the cosmetic whitening tray. The dentist will evaluate your oral health and the dimensions of your mouth before forming a fully customized tray to make your teeth the perfect shade of white. A custom-fit teeth whitening tray expertly crafted by your dentist is the optimal approach to beautifying stained or discolored teeth. Ask anyone who has tried a customized teeth whitening tray and a teeth whitening solution available from the local store about the results and you will find they favor the dentist's tray. The primary reason to rely on your dentist's custom-tailored teeth whitening tray is it will whiten unsightly teeth much better than any product available over-the-counter. The dentist will show you exactly how your personalized teeth whitening tray should be applied to your teeth. You will not receive the same level of detailed instruction with a teeth whitening tray purchased at a local grocery or drug store. You will be shocked as to how quickly the color of your teeth changes after you use the dentist's custom-fit tray. It will take much longer for a product purchased from a local store to generate similar results. So do not shy away if your dentist's customized trays cost a bit more than those available at the store. The extra money is well worth it. The American Academy of Cosmetic Dentistry endorses the use of custom-fit teeth whitening trays crafted by dentists as they really are that much safer than other options. There is no risk of tooth-whitening gel moving on out of trays that do not properly fit your mouth. The tooth-whitening gel has the potential to slide on out of the trays you buy at the local store, contact your gums and cause considerable irritation. Your dentist's tray will fit your idiosyncratic mouth and even the nuances of your bite so it is nearly impossible for the bleaching agent to leak and harm your gums. 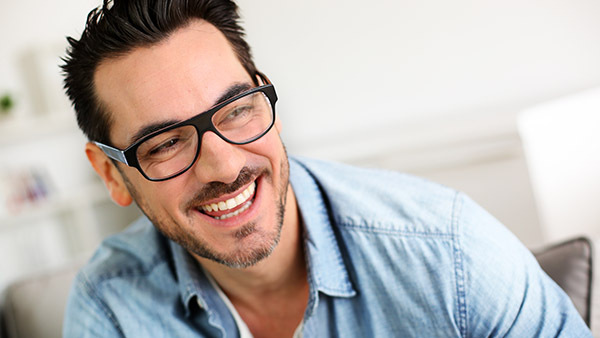 For more custom at home teeth whitening information or to schedule an appointment with Roderick A. Garcia, DMD PC, request an appointment in our Albuquerque dental office here: https://www.roderickgarciadmd.com. Or call us at (505) 634-5029. My Dentures Are Uncomfortable — What Can I Do? How Long Will My Denture Repair Take?